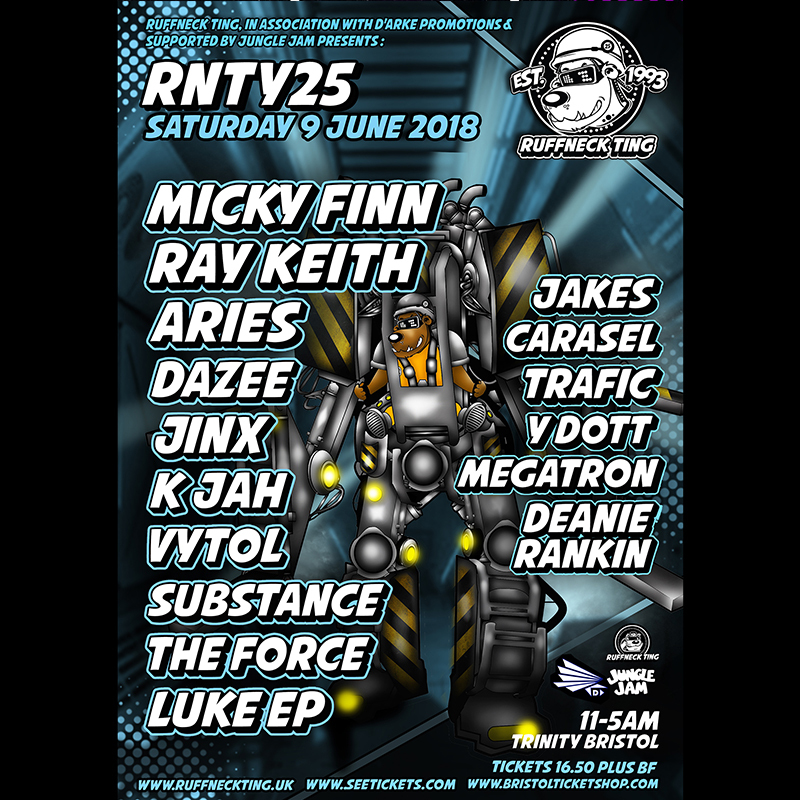 Ruffneck Ting, in association with D’Arke Promotions & supported by Jungle Jam, is proud to present: RNT Y25! We’re returning to our spiritual home, one of Bristols best loved venues, Trinity, for a massive night of celebration ina junglist styleee! Second to none sound and production is guaranteed alongside our inimitable Ruffneck Ting Vibes so please make a date in your diary to join us us for our 25th year celebration all-nighter: Saturday 9th June 2018!